INDUSTRY.co.id - Jakarta - Bank Rakyat Indonesia Tbk (BRI) cooperates with Go Pay to contribute and accelerate financial inclusion in Indonesia. Director of Institutional Relation of Bank BRI Sis Apik Wijayanto said, the cooperation, and the first phase covers the ease for the community to make electronic payment of Bank BRI bill, access to services and products of Bank BRI for partners and merchants. "Our hope with this cooperation can increase the penetration of BRI's banking products and services in all levels of society," he said in Jakarta on Monday (5/3/2018). Sis Apik said, this cooperation at the same time proves fintech able to become a partner for banking in Indonesia. "BRI sees technological innovation as an opportunity to reach more people accessing banking products and services and we are optimistic that this synergy can provide value for both parties," he said. Sia Apik explained that this collaboration could help the government meet its 75% financial inclusion target by 2019. 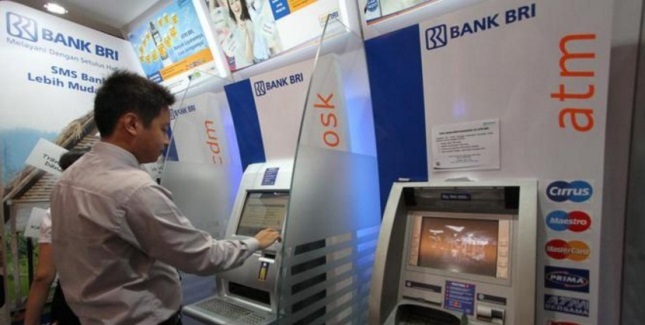 Based on a national survey of 2016 financial literacy and inclusion by the Financial Services Authority (OJK), the financial literacy index reached 29.66 percent and the financial inclusion index reached 67.82 percent.